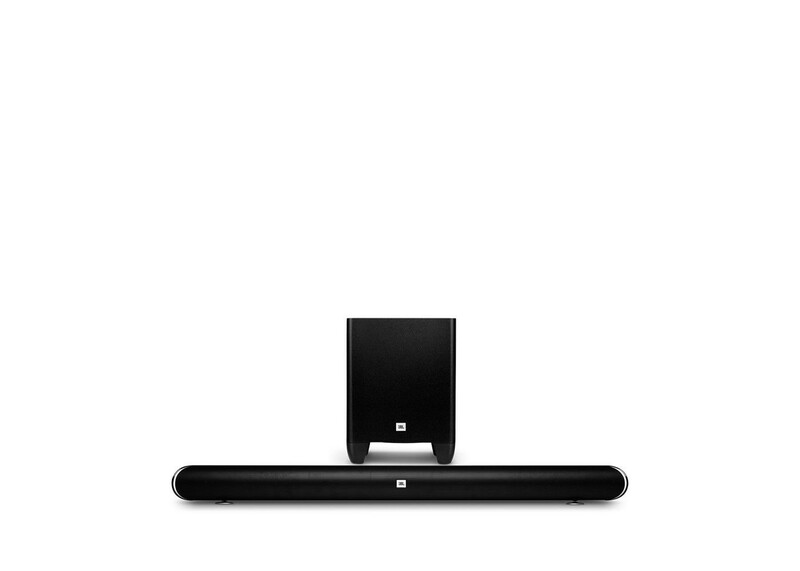 Designed to perfectly match any TV, the JBL Cinema SB350 projects stunning, virtual surround sound from a sleek and simple package. It connects wirelessly to its compact, powerful subwoofer, and connects with a single wire to a TV. It can also play music wirelessly from Bluetooth® smartphones or tablets. It remembers up to 10 Bluetooth® devices for instant reconnection. It can learn any TV remote volume control, giving you simplified control over your cinema experience. JBL Cinema SB350 includes two-way, dual driver left and right speaker modules, each with two 55mm (2.25") full range drivers and a 32mm (1.25") dome tweeter.